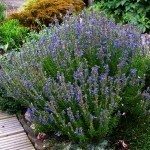 I am looking to plant some hyssop plants but will they do good in San Antonio, Texas? Do you sell them, too? Sorry, we do not sell plants. We only provide information about growing them.